Researchers in Canada have developed an improved chemical analysis method that they claim can detect counterfeit medicines more quickly than other laboratory techniques. 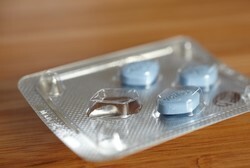 The team from the University of Montreal used a screening method based on liquid chromatography-mass spectrometry (LC-MS) to test drugs in the phosphodiesterase-5 inhibitor class - which includes highly-counterfeited drugs such as Pfizer's Viagra (sildenafil), Eli Lilly's Cialis (tadalafil) and GlaxoSmithKline/Bayer's Levitra (vardenafil) - in as little as 10 minutes. The goal was to develop a rapid method to screen for PDE-5 inhibitors in medicines and also dietary supplements, which are sometimes adulterated with these compounds. The researchers note that their method separated and detected more than 80 substances that may be substituted for the active ingredients in the three PDE-5 inhibitors within 10 minutes, roughly five times faster than it would have taken using the standard analytical technique for these compounds. Thirty pharmaceutical and natural products, some of which were seized at the Canadian border, were analysed to test and prove the potential of the new method and - following validation - it has been introduced in the counterfeit identification procedures at Canadian drugs regulator Health Canada. The research was carried out by Philippe Lebel, Alexandra Furtos and Karen Waldron of the university's Department of Chemistry and is published in the Journal of Chromatography (May 23 edition). "Our approach does not only target a medication's active ingredient," according to Furtos. "Rather, using a scanning technique, it also detects non-targeted compounds, some of them new synthetic analogues of the active ingredient. "This is the originality of the method," she added.